What is the ratio of the perimeter of the larger triangle to the perimeter of the smaller triangle? How was the black triangle created? Move the points of the triangle. 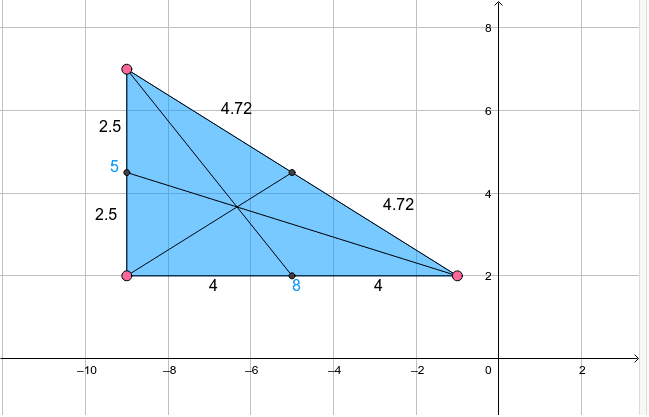 What do you notice about the lengths of the sides as you move the points of the triangle? What is the name of each segment that passes through the triangle? What is the name of the point of intersection of the medians? Build a triangle from Altitudes?